Eight years ago, Lennon lost his heart to Rain, and suddenly she's back, all grown up and setting his world on fire. At a sorority party, he convinces himself that outbidding every other guy for a body shot from Rain is for charity. But he knows better. He doesn't want any guy, except him, tarnishing the memory of the little girl he proposed to in fifth grade. He realizes too late his actions could destroy his relationship with Jinx, a girl he worships and adores. Jinx loves Lennon and is past ready for him to make his move. With his reputation, his lack of action makes her believe he isn't physically attracted to her. 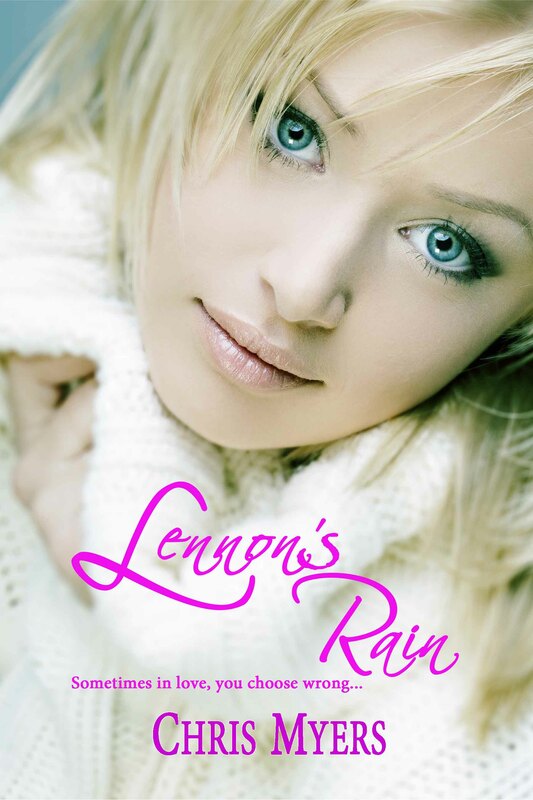 Jinx fears she is losing him, and the only way to keep him is to overcome her past and sleep with Lennon. Rain knows Lennon is trouble. If she couldn't say no to the gangly boy asking her to skateboard off some roof, how will she refuse Lennon's seductive powers now that he is a man? Rain has many reasons to resist his charm. He has a girlfriend, he's moving to LA with her, and Rain has no intention to march in the long parade of Lennon Tyler conquests. Now, Lennon must choose. Someone has to lose, and that person could be him. ©2013 Chris Myers Fiction. All Rights Reserved.